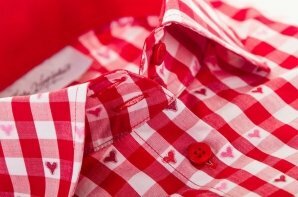 Red checkered dress shirt Milan puts you in a carefree mood on your days off and adds color and joy to your office outfit on workdays. The high-quality cotton makes long office days comfortable. Wear it either buttoned-up or loosely over a T-shirt.